SAY HELLO TO MOTHER NATURE'S SECRET SKIN REMEDY HARVESTED FRESH FROM QUEENSLAND. Flower Extracts have been used for their therapeutic qualities from ancient times to the present day. Historically natural plants and earth minerals were the inspiration for many synthetic medicines and a significant number of what are said to be 'essential medicines' by The World Health Organisation today. Take for example quinine, activated charcoal, folic acid, coal tar, salicylic acid and senna. Similarly Australian indigenous communities have long understood the simple health benefits inherent in Australian Bush Flowers. In fact Bush Medicine was a vital part of their daily rural living practices. 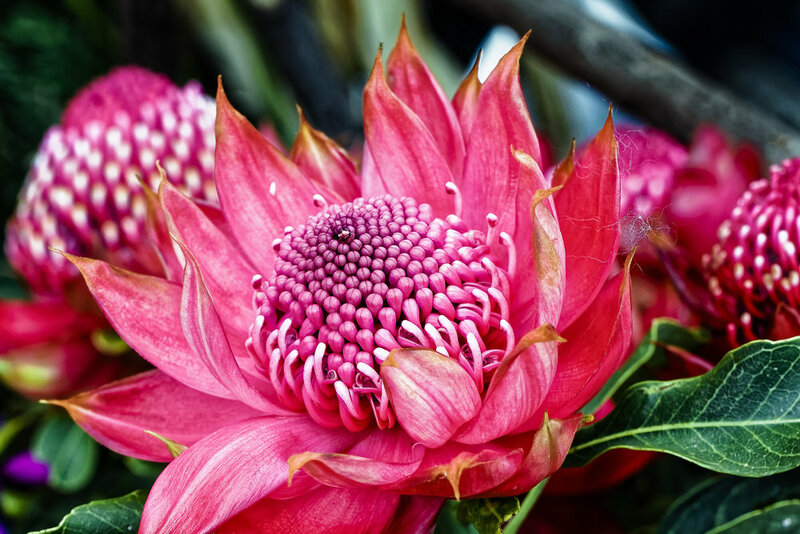 Recent Australian sustainable practices have been established for better qaulity plants (raw material) and the wild harvesting of Organic Australian Bush Flower Essences. CHRISTOPHER HANLON® proudly includes some of these plant essences in proprietary skincare formulations such as the new D | N | A BIO-REPAIR SKIN SERUM. Created to visibly enhance wellbeing and improve skin health. How? D | N | A BIO-REPAIR SKIN SERUM refines, repairs and brightens using bio-available potent plant extracts, antioxidants and nutrients. D | N | A BIO-REPAIR is formulated to hydrate all skin types and visibly strengthen capillaries (thanks to Chamomile, Rose Extract, Eucalyptus Blossum, Banksia Flower Concentrate and Multi-Fruit Extracts containing AHAs). D | N | A BIO-REPAIR stimulates the appearance of collagen with a high concentration of Vitamin C and combines with Lactic Acid; to smooth the appearance of dryness. These tailored CHRISTOPHER HANLON® skincare ingredients are effective long term with continued use. Soft, plump, dewy skin. Refreshed. Tasmanian Rose Stem Cell™ combined with a hint of aromatic Lemon Scented Australian Tea-Tree is now used as a night time multi-tasking skin treatment serum. For All Skin Types.